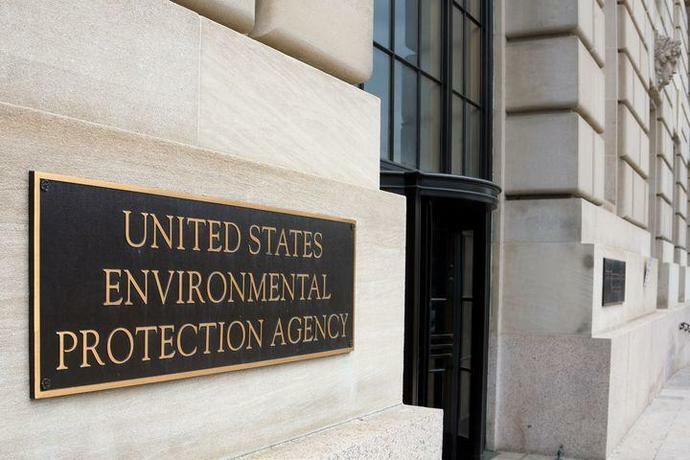 The EPA completely axed its climate change websites. But why are NASA's still live? Sometime during the night of Oct. 16, 2018, the U.S. Environmental Protection Agency (EPA) eliminated more than 80 climate change web pages - many of the last vestiges to the agency's online recognition of climate change. The deletions - caught by the watchdog group Environmental Data and Governance Initiative (EDGI) - show a growing disparity between how the regulation-focused EPA increasingly masks globally-agreed upon climate science from the public, while agencies like NASA and the National Oceanic and Atmospheric Administration (NOAA) continue to promote reliable climate research. Of note, both the EPA and NASA are sprawling federal agencies directly answerable to the office of the president. Yet, while NASA maintains a slew of informative, diligently updated, and visually-rich climate change websites, the EPA's sites have been gradually obscured, and now eliminated. For the current EPA - which candidly aims to perpetuate a 150-year-old energy system that emits prodigious amounts of heat-trapping greenhouse gases - removing this material is a necessary precaution. The EPA can't simultaneously promote and deny climate science. "They're protecting themselves from scrutiny - an uninformed public is key to shielding them from scrutiny," Joe Goffman, a former EPA senior counsel in the Office of Air and Radiation, said in an interview. The EPA has done a commendable job of furtively deleting climate information, particularly anything once readable on the government site "www.epa.gov/climatechange." "There's no indication now that there was even a climate change website," Eric Nost, the EDGI report's lead author, said in an interview. For about a year and a half, since April 2017, visiting the EPA's climate sites would lead to a page that read, in bold highlighted letters: "This page is being updated." Now, the pages simply don't exist. Instead, they read: "We want to help you find what you're looking for." "The significance is that we were expecting these updates to take place over the last year and a half," said Nost. "What this most recent change demonstrates is that's [updates] probably not going to happen." The fact that NASA's climate webpages are still teeming with updated data about all things climate change-related, however, is little surprising. NASA is a research agency, emphasized Stan Meiburg, the former Acting Deputy Administrator of the EPA, in an interview. It largely exists to perform science. Conversely, he noted that the EPA - which is responsible for protecting human health and the environment - is primarily a regulatory agency, writing and enforcing environmental rules. But under the current administration, the EPA's directive has been to deny the reality that human-created carbon emissions - likely at their highest levels in some 15 million years - need to be reined in, or regulated. "It's sad, but straightforward," Meiburg, who is now the director of Graduate Studies in Sustainability at Wake Forest University, said of the EPA's deleted websites. "It's a consistent reflection of the position the administration has taken about the lack of need to address greenhouse gas emissions," added Meiburg. "From that perspective, the less said about climate change, the better," added Goffman, now the executive director of Harvard Law School's Environmental Law Program. Curiously, the EPA still has some climate-related information available online - so it's not all gone. For instance, there's an explanation of greenhouse gas sources and a 2016 report, prepared before the Trump administration took office, called "Climate Change Indicators in the United States." NASA's continued efforts to provide the public with easily-accessible information about how the warming globe is stoking climate change has been buttressed by the agency's chief, Administrator Jim Bridenstine. Bridenstine is the lone Trump administration official to publicly accept that human emissions are largely responsible for stoking climate change over the last century. (We're actually 100 percent responsible). "All we want to do at NASA, is make sure that we are providing the absolute best science so that policy makers can make good decisions," Bridenstine told Axios' Andrew Freedman this summer. This ethos, coming from the NASA's chief, gives NASA scientists and communicators leeway to continue promoting good climate science. "It provides space for scientists to lay out the facts as they see them," said Meiburg. "Since NASA is not a policy-action agency, they're free to spread that knowledge without enduring any risk," noted Goffman. But no such video would ever exist on the modern-day EPA website. Right now, the environmental agency hopes to enforce a slew of new rules that would, among a variety of things, significantly roll back fuel-efficiency standards for new vehicles and replace Obama's Clean Power Plan. "If that video had appeared on the EPA website, it would have undercut the argument for freezing tailpipe exhaust standards," said Goffman. Fortunately for the public, NASA and NOAA - not burdened by the EPA's climate-denying regulatory agenda - have continued to provide accessible, reliable climate science. "Better go to NASA," said Meiburg.